New Frontiers: Launch, Explore, Discover | the Mann. New Frontiers: Launch, Explore, Discover was the Mann Center's fourth consecutive festival. The festival, which was announced during a Black History Month celebration, featured an inspiring collection of original artistic programming linking the arts and sciences. 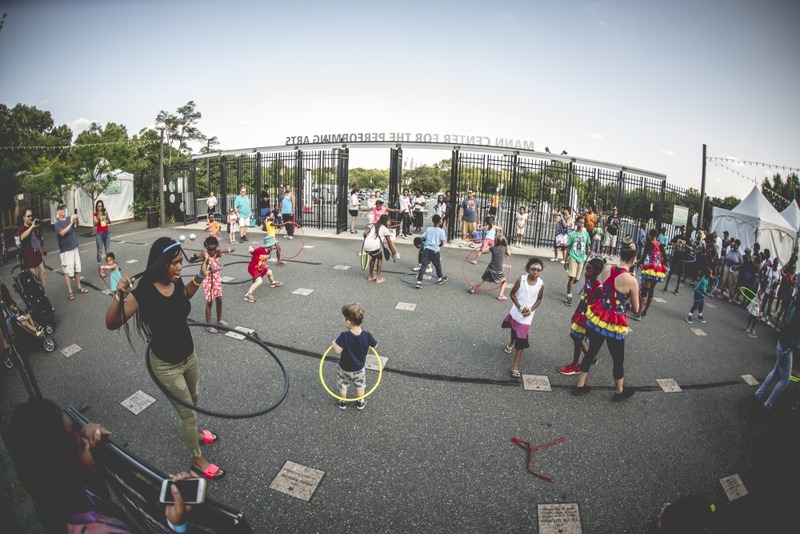 New Frontiers was a six-month festival inspired by the 75th birthday of Colonel Guion Stewart Bluford, Jr., a pioneering NASA astronaut, Philadelphia native, and the first African-American in space. The Heavens are Telling: Bernstein, Haydn, Holst, & Williams with The Philadelphia Orchestra and the Mann Festival Choir. Signature Festival Concert in tribute to Colonel Guion Bluford, Jr. 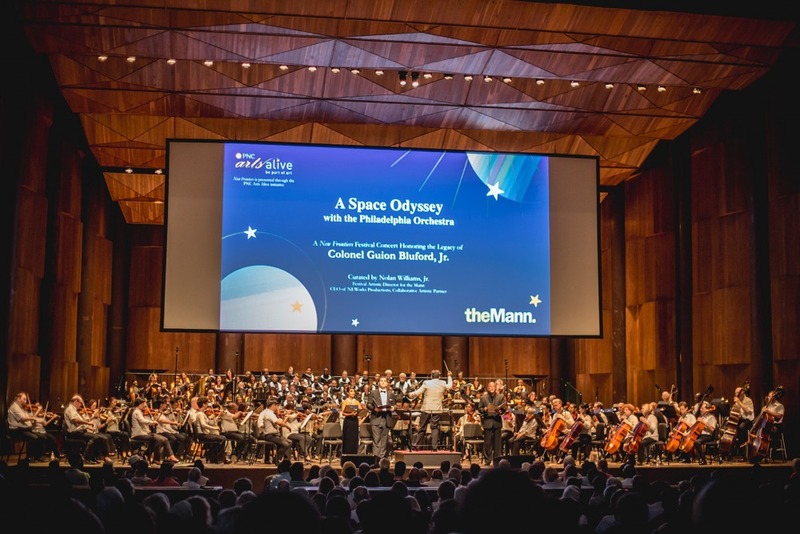 This Mann pavilion concert featured the world-class Philadelphia Orchestra performing a mixed program of space-themed and space-inspired music. The concert was highlighted with the world premiere of Nolan Williams, Jr.’s Hold Fast to Dreams, a commissioned work honoring the legacy of Col. Guion Bluford composed for orchestra, choir, soloists, and spoken word. Derrick Pitts, Chief Astronomer and Planetarium Director for The Franklin Institute, served as narrator. The Mann Center Festival Choir was comprised of participants from Intermezzo Choir Ministry, Mendelssohn Club of Philadelphia, Sounds of Joy, and The St. Thomas Chancel Choir of the historic African Episcopal Church of St. Thomas. A FREE community and family day at the Mann! 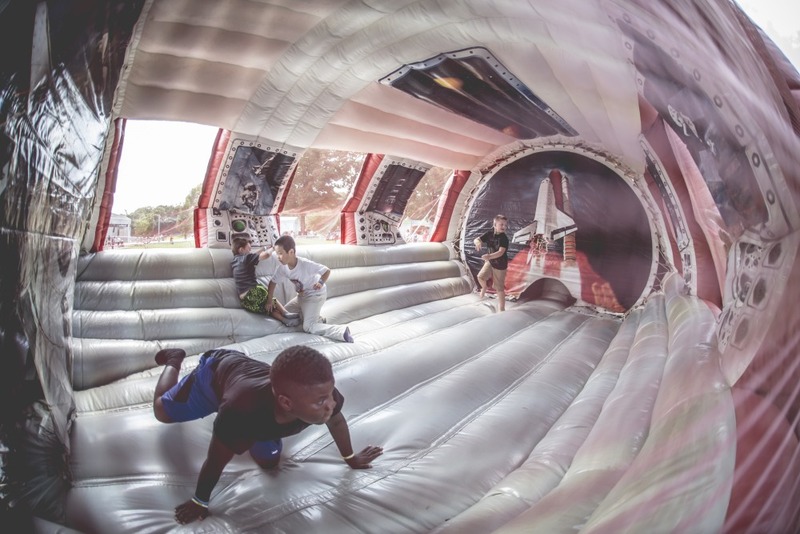 On this day, the Mann campus was transformed into a space-themed park with space-inspired face painting, hands-on science experiments, global performances, roving life-sized Star Wars characters, and more. of the benefits of block play on a larger-than-life-size scale that encourages kids to play together in groups and to have more fun. Attendees had a chance to participate in interactive science experiments related to matter, static electricity, Newton’s three laws of motion, chemical reactions, and forensic science. The experiments were led by Science 2 the Max, an educational organization that specializes in teaching science, technology, engineering, arts, and mathematics (S.T.E.A.M.) through exciting, interactive play, science experiments, and child-friendly entertainment. These Science 2 the Max presentations were all aligned with Pennsylvania, Delaware and New Jersey Common Core Standards and Next Generation Science Standards. Local artists were presented on three performance stages throughout the Mann’s campus, continuing the Mann’s commitment to identifying and providing performance opportunities for burgeoning, young talent! Garrison Carida® is a chapter of the 501st Legion, serving Pennsylvania and Delaware, that participates in a wide array of charity and non-profit events throughout the community. The 501st Legion consists of Star Wars re-enactors who freely volunteer their time to help others while celebrating the exciting world of Star Wars. Attendees to our festival were able to interact directly with their favorite iconic figures from the popular film series as ten fully costumed characters moved about the Mann's campus throughout the festival day! The day concluded with a FREE community screening of HIDDEN FIGURES. This Golden Globe®-winner and Academy Award®-nominated film reveals the untold story of NASA mathematicians Katherine Johnson, Dorothy Vaughn, and Mary Jackson, three ingenious African-American women who worked behind the scenes to help launch astronaut John Glenn into outer space. 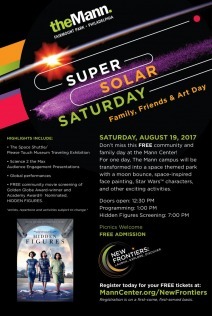 Super Solar Saturday was a prelude to the Great American Eclipse scheduled for Monday, August 21. Super Solar Saturday was presented in partnership with The Franklin Institute. Philadelphia’s Franklin Institute is renowned for its cutting-edge astronomical presentations on the planetarium’s immersive dome, measuring 60 feet in diameter. 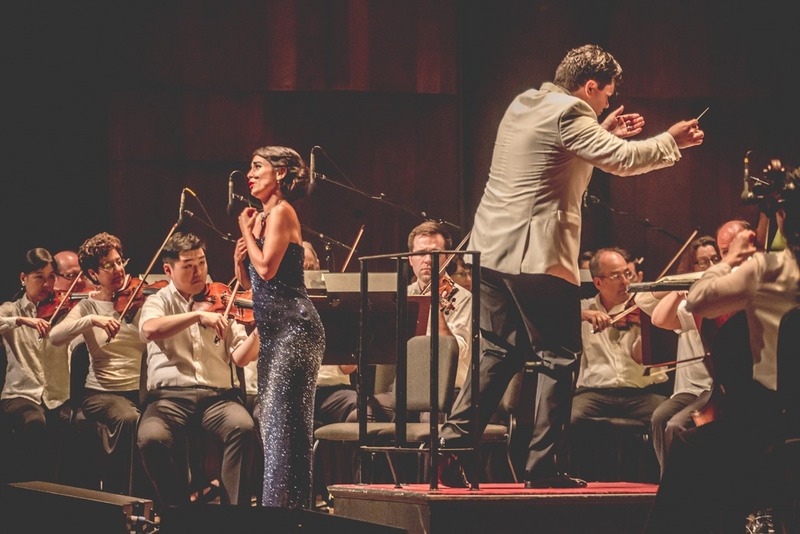 The Mann took the FI planetarium experience to another level with two days of live music programming that featured Philadelphia Performing Arts: A String Theory Charter School Concert Choir on June 6th and the Clef Club Ambassadors Big Band on June 7th. Each performed curated musical sets synced with breathtaking visuals that immersed attending students in an out-of-this-world experience! Star Rhapsody was presented in partnership with The Franklin Institute, The Clef Club of Jazz, and String Theory Charter School. 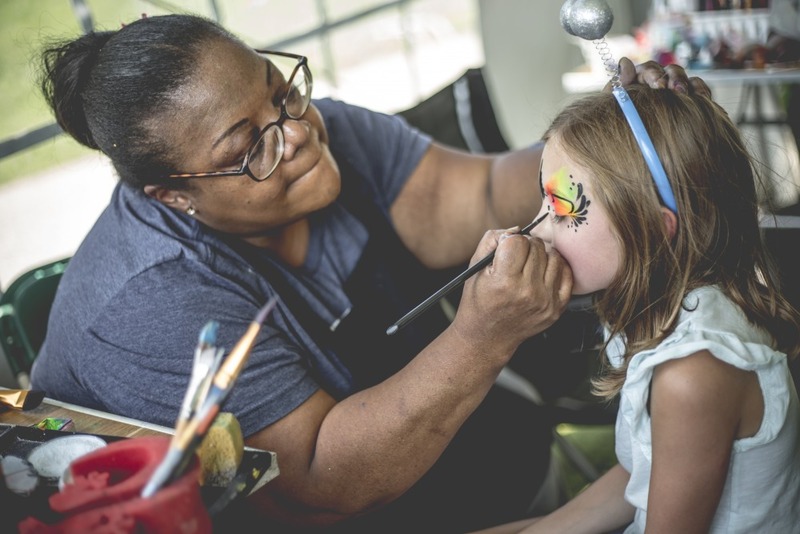 The Mann is delighted to announce that we recently brought our Connecting Arts-N-Schools (CANS) initiative to our festival partner schools. To date, CANS has reached more than 60,000 students citywide through a series of multidisciplinary programs in music, dance, and theatre. The New Frontiers CANS assembly, Gravity Gabbing and Grooving, featured a NASA astronaut as the guest speaker and the performance of a commissioned festival dance work by The Rock School for Dance Education, which honored Col. Bluford and celebrated the themes of ambitious exploration and discovery. Connecting Arts-N-Schools was presented in cooperation with NASA and in partnership with The Rock School for Dance Education. Think you can’t see the stars of the night sky in the city? Think again! Star Party was the biggest star party in the region, as local astronomers brought their gear for a spectacular tour of the cosmos. Stargazing wasn’t the only item on the agenda; attendees also had a chance to launch an Alka-Rocket and to participate in a cool citizen science project! The night included continuous, hands-on telescopic observing all evening, lots of fun activities, and special music by students of Global Leadership Academy and KIPP DuBois Collegiate Academy. 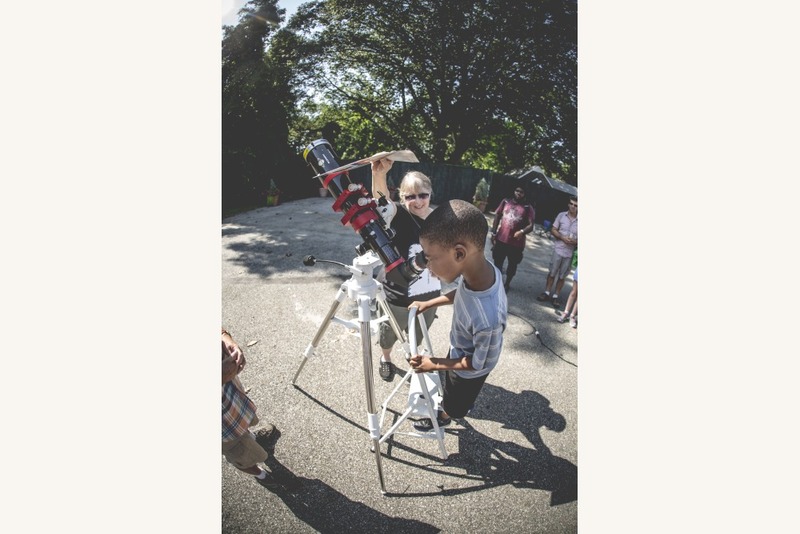 Star Party was open to the public and was presented in partnership with The Franklin Institute and Global Leadership Academy. The Mann's “Philly’s Native Son in Space” featured works by young artists from three partner schools: Global Leadership Academy, Universal Bluford Charter School, and Overbrook High School. "Philly's Native Son in Space" was a mixed-media art exhibition curated in tribute to Colonel Guion Bluford, Jr., a pioneering NASA astronaut, Philadelphia native, and the first African American in space. This exhibition was on display at Philadelphia City Hall from July 12, 2017 - August 4, 2017.